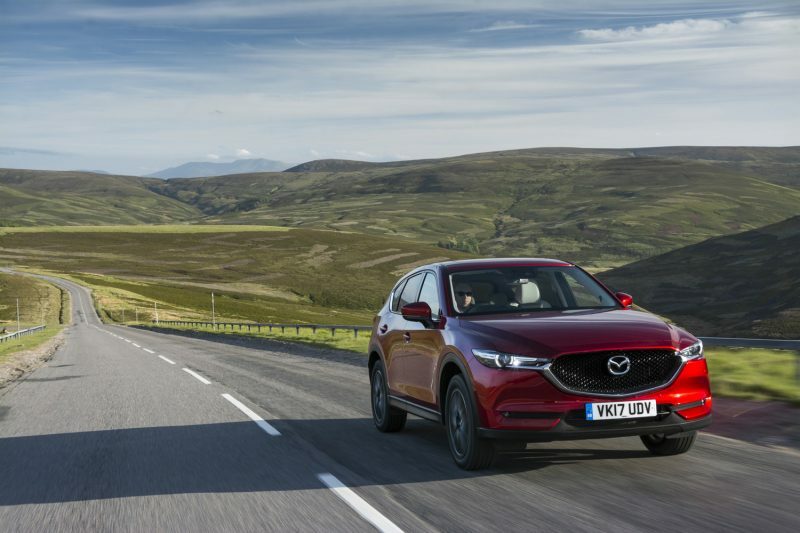 Mazda has taken two titles at the annual Scottish Car of the Year (SCOTY) Awards, securing the extremely competitive Best Crossover title with the all-new Mazda CX-5 and grabbing the Best Drop Top award with the all-new Mazda MX-5 RF. Available in two highly-specified trim levels, the ten model UK range starts at just £23,695. Both Mazda’s SKYACTIV-MT six-speed manual and SKYACTIV-Drive six-speed automatic transmissions feature in the range, as does the latest generation of Mazda’s intelligent i-ACTIV all-wheel drive (AWD) system. 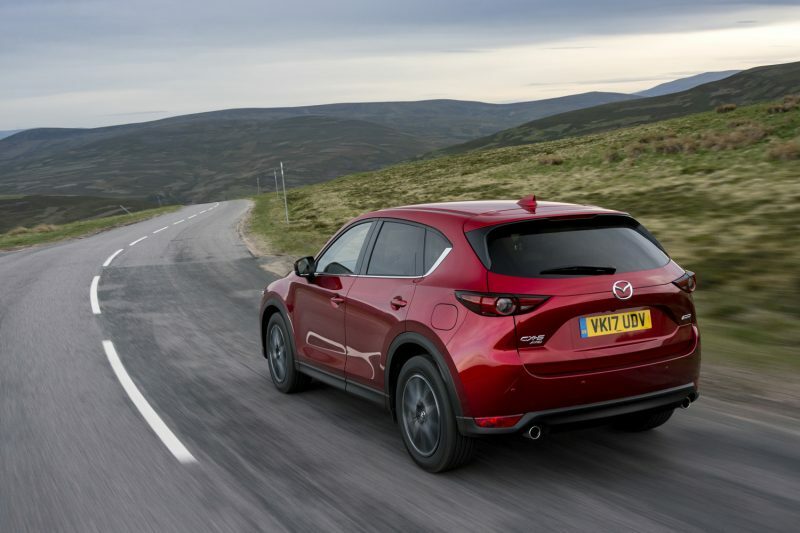 Powered by a familiar range of SKYACTIV engines, the 2.0-litre 165ps SKYACTIV-G petrol engine is available in SE-L Nav and Sport Nav trim and is offered exclusively with front-wheel drive and Mazda’s six-speed SKYACTIV-MT manual gearbox. 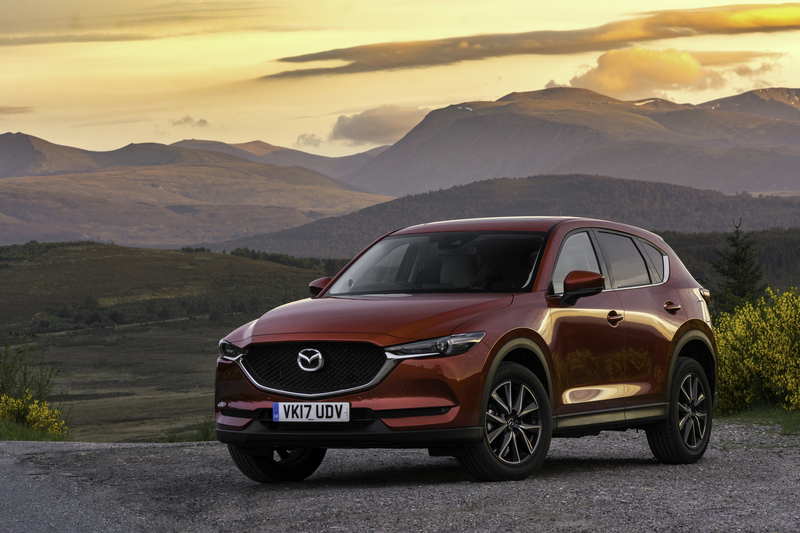 Commenting on the CX-5’s success, ASMW President Stephen Park said, “the last twelve months has seen a transformation at the top of the crossover class with major revamps of old favourites and all-new models arriving, but ultimately Mazda came out on top thanks to a luxurious makeover of a car already renowned for fantastic driving dynamics and excellent efficiency”. 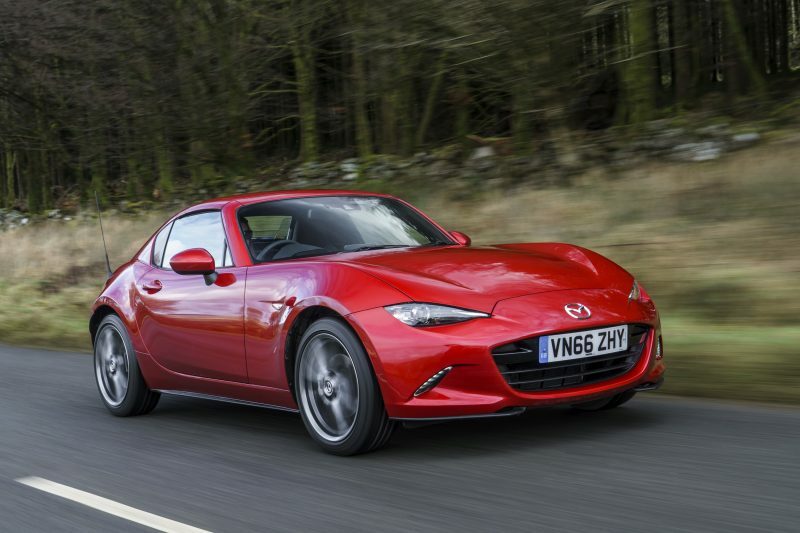 Adding to the MX-5’s ever-growing awards tally, the all-new Mazda MX-5 RF also took top honours, claiming the glamorous Best Drop Top title, “our weather may not seem best suited to convertibles but Scottish drivers love wind in the hair motoring and that’s why cabriolets and roadsters continue to sell well. This year’s winner, however, provides a package for all seasons combined with sensible pricing and supreme driving enjoyment”, commented ASMW President, Stephen Park. 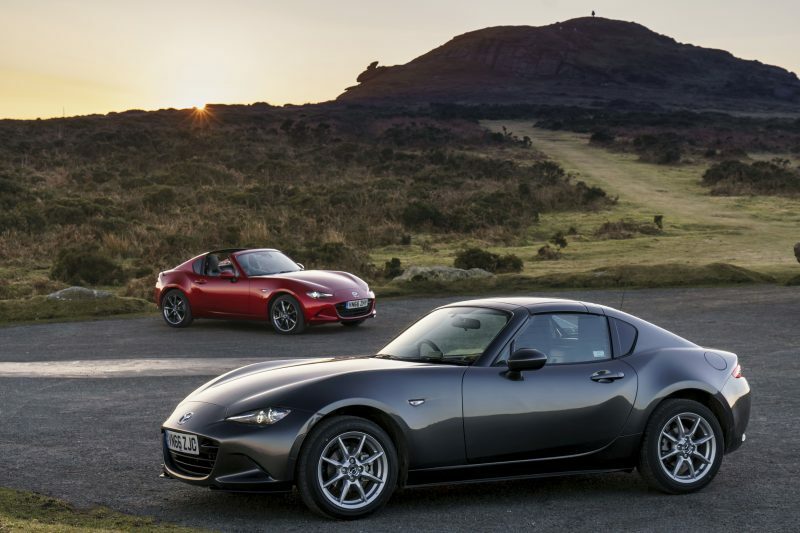 Designed to offer a new dimension of open-top driving fun, while at the same time staying true to the underlying principle of the previous generation MX-5 retractable hardtop, the all-new Mazda MX-5 RF’s ‘fastback’ styling gives it a unique appearance roof up or down, broadening the appeal of the world’s best-selling two-seater sports car. 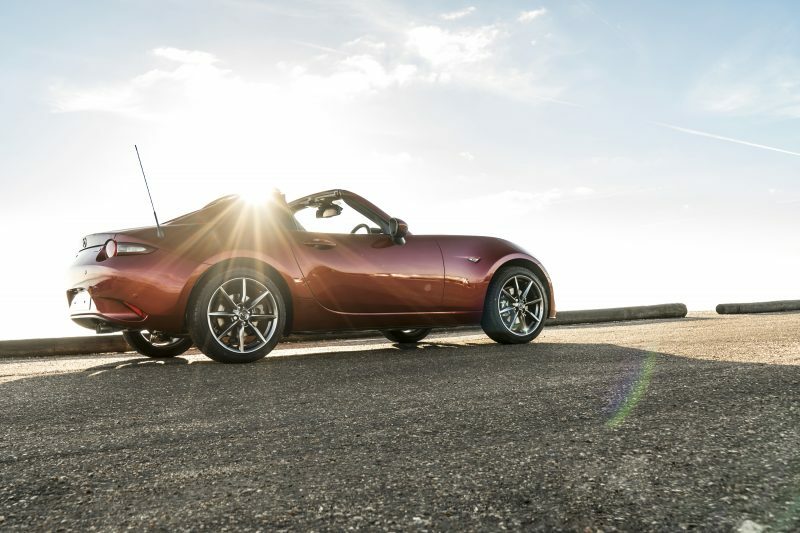 As with the established Mazda MX-5 convertible, all models powered by the 2.0-litre 160ps engine feature a limited slip differential and 17-inch wheels; while Sport Nav models feature Bilstein dampers and strut brace to further enhance their dynamic set up. 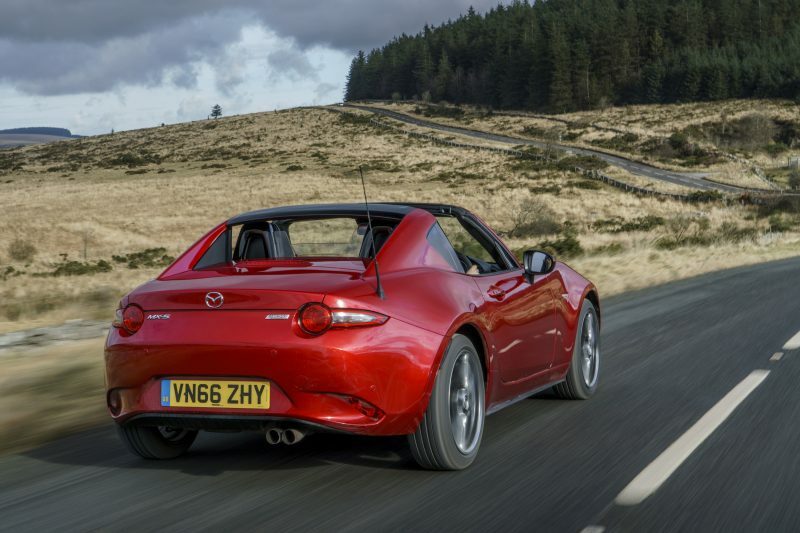 Plus, with the introduction of the £27,295 Sport Nav Auto, the current generation of MX-5 is offered with an automatic gearbox for the first time in the UK. 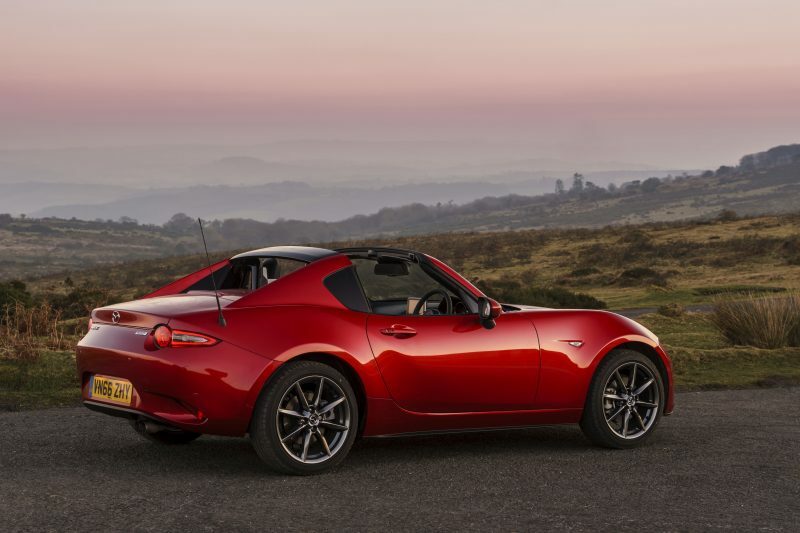 The MX-5 RF’s retractable hardtop consists of front, middle and rear roof sections, and a rear screen. When the top is lowered the front and middle portions are stowed together, while the rear glass sits behind the seats, leaving the rear roof section in place to create a unique open-topped look, and a cabin feeling that combines a sense of open air freedom with the impression of being securely ensconced within the car. Collecting the award, Mazda Motors UK PR Director, Graeme Fudge said, “We’re thrilled that the all-new Mazda MX-5 RF has been acknowledged by the ASMW, the MX-5 is the definitive example of how our SKYACTIV technology and KODO design philosophy help us create stylish, spirited and great to drive cars; and the Retractable Fastback adds a unique and stylish model to our range that stands distinct from the MX-5 convertible, yet retains all the award-winning driver appeal our sports car is famed for”. 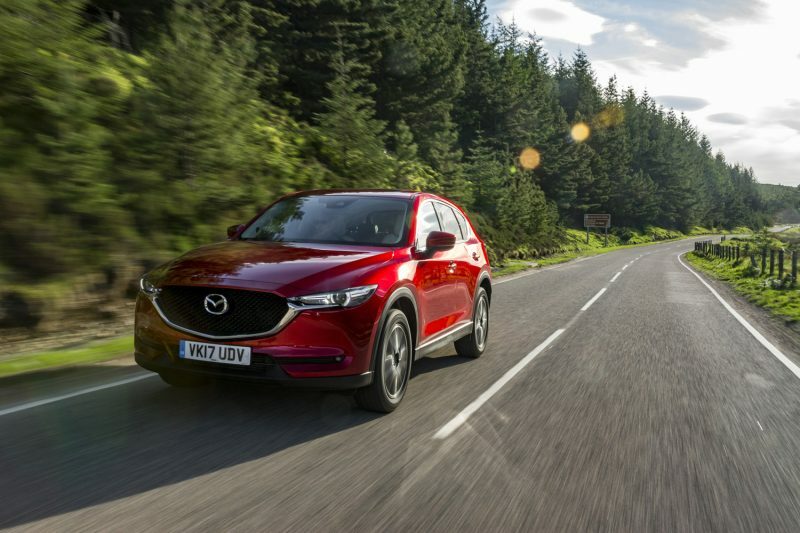 Mazda’s latest crop of Scottish motoring awards mean that every current model in the Mazda range has achieved a SCOTY accolade – recognition that contributes to the success of Mazda’s Scottish dealers and a 2.4 per cent market share in Scotland.